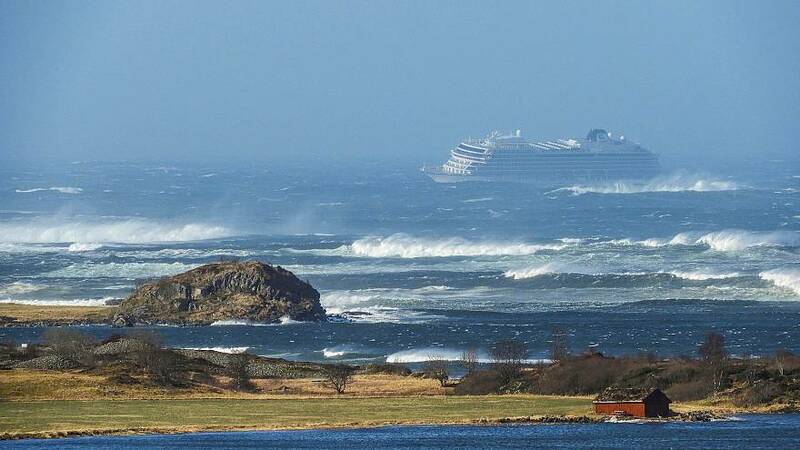 OSLO — Rescue helicopters were evacuating people from a cruise ship which suffered engine failure on Saturday in stormy weather off the west coast of Norway, police and rescue workers said. The crew were later able to restart one engine and the ship was at anchor just over a mile from land. Passengers were hoisted one-by-one from the deck of the vessel and airlifted to a village just north of the town of Molde on Norway's west coast. About 100 people had been evacuated by 3:30 p.m. GMT, police said. Waves were 20 to 26 feet high, with wind blowing at 79 feet per second, according to the Norwegian Meteorological Institute. The storm is expected to last at least until midnight local time.